Wyoming may become the first state to force global warming on kids as part of a state enforced grade school curriculum. Worse, it is a Republican Governor who is signing the bill. 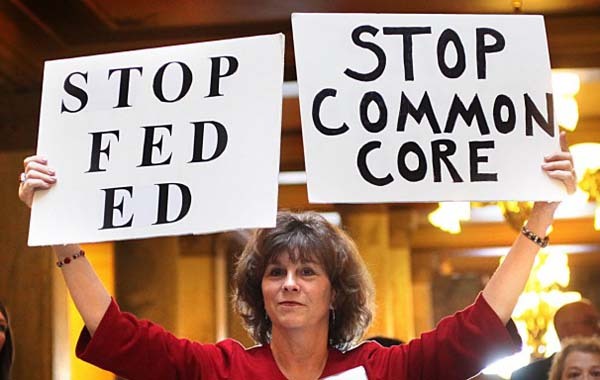 In fact, the bill Republican Governor Matt Mead just signed a bill that re-instates the Common Core-styled state education standards that are falling out of favor everywhere else in the country. The re-instated standards maintain that global warming is real and caused by human activity. The curriculum, known as the Next Generation Science Standards, has sparked controversy all over the U.S. as skeptics protest the teaching of climate change in schools. Thirteen states and the District of Columbia have adopted the standards so far, but the academic road map has faced hurdles in a number of other states, including Oklahoma and South Carolina. Wyoming lawmakers blocked the State Board of Education from considering the standards last year amid fears that teaching climate science could cast Wyoming’s fossil-fuel industry in a negative light. A patchwork of existing science standards has created vast disparities in the way climate change is taught in schools, a reality that alarms science-education advocates. The National Center for Science Education and Climate Parents, a nonprofit that works to promote teaching of climate change in schools, were among the groups that cheered the bill-signing on Monday. “This is a great day for Wyoming students, teachers, parents, and everyone else who believes that kids need to learn climate science as part of a world-class science education,” said John Friedrich, a senior campaigner with Climate Parents. “We want students to have access to the most-up-to-date science. Kids should have a chance to learn the science,” state Republican Representative John Patton, the author of the bill to undo the earlier ban on the standards, said in an interview in December. Say, Wyoming, are you ready to fire your governor?